As the leading centre for designer mirrors in Reading, we can offer mirror solutions to inspire, and feed your imagination. 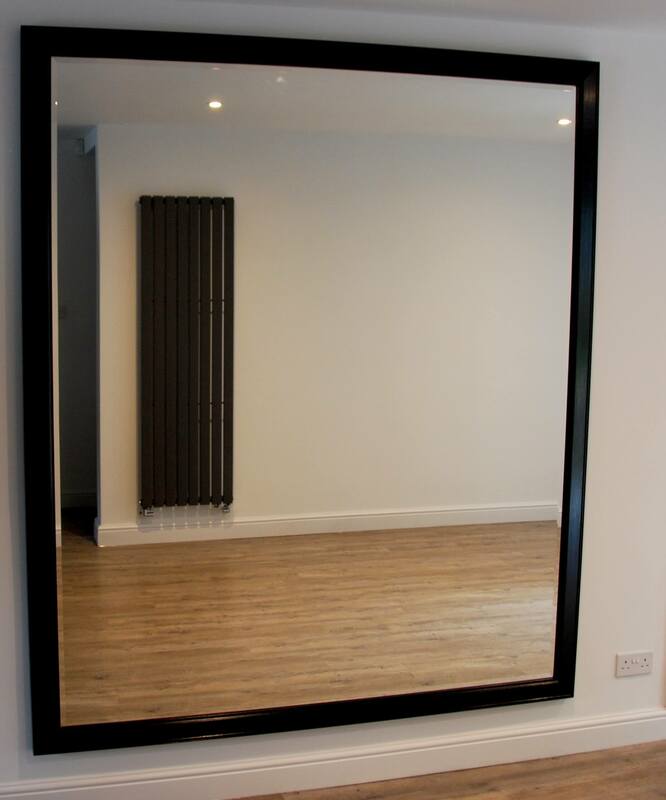 From Caversham Reading we offer a range of mirrors which will provide a unique feature for any interior, adding light, space and atmosphere. 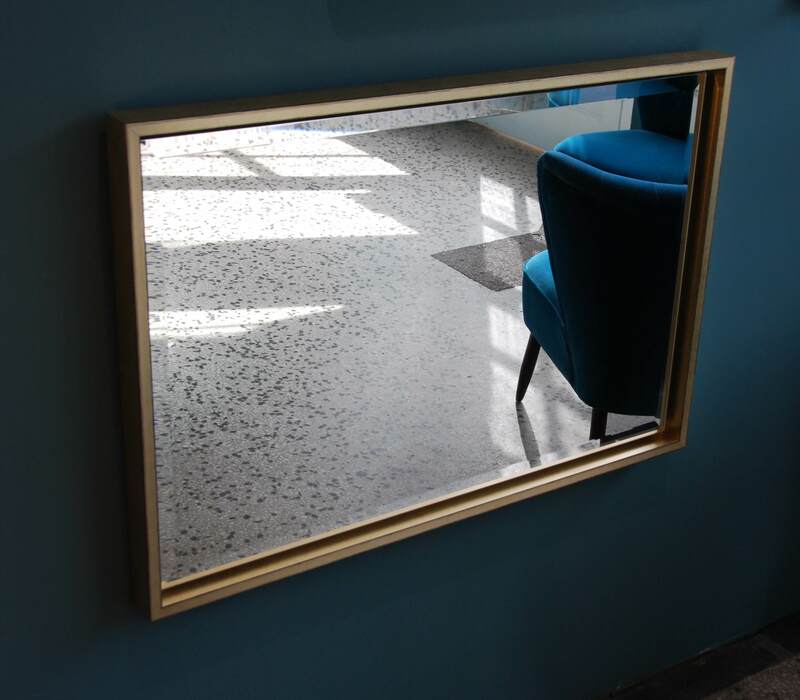 Our range of handmade mirrors crafted in our workshops in Reading, can reflect the on trend colours of the moment when we hand finish them in the Farrow and Ball paints of your choice. Our portfolio below shows some of the solutions we can offer to a wide range of challenges in mirror design and style: Clean modern designs such as our Sun Cube range: antiqued glass in our round Old Goa range for a more exotic feel; period antique frames, restored to provide real luxury, and large mirrors up to seven feet square, providing the ultimate in added space and feel as shown in our modern hand painted black framed mirror. 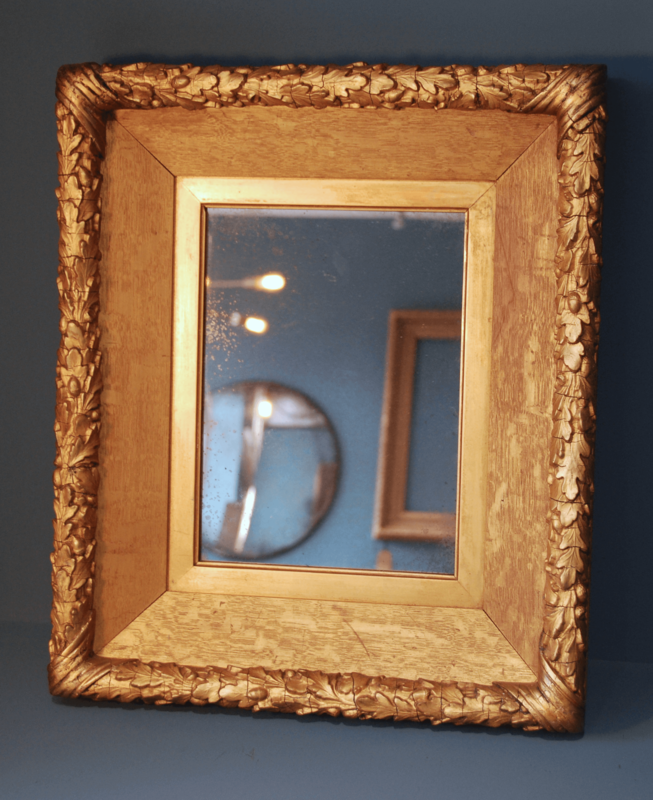 For those special decorative effects, which can make a mirror the centre piece of the room, we provide antiqued glass with a range of aging effects, and églomisé gilded glass for that extra special luxury look. 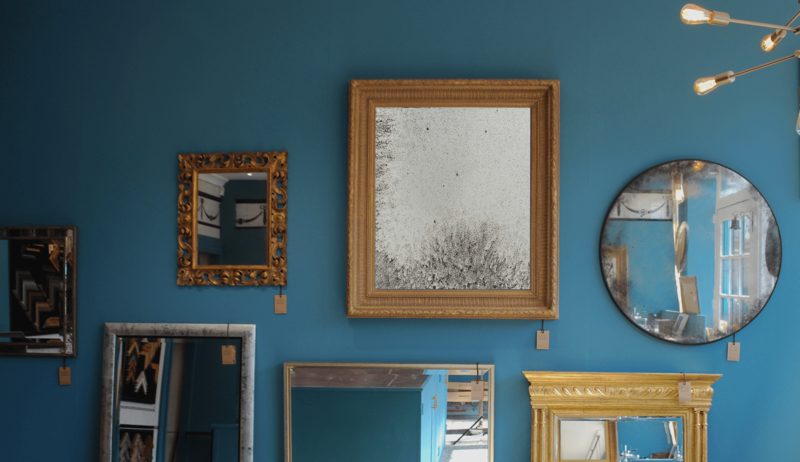 Your choice and style can be realised through a wide range of design choices, tray and traditional frames, finishes, from natural to high gloss to shabby-chic distressed, and even hand gilded frames for mirrors made by us here in Reading. Overmantle mirrors, and TV mirrors with dielectric glass to combine the convenience of TV availability whilst maintaining design integrity of your interior, are also part of what we do here in Reading. 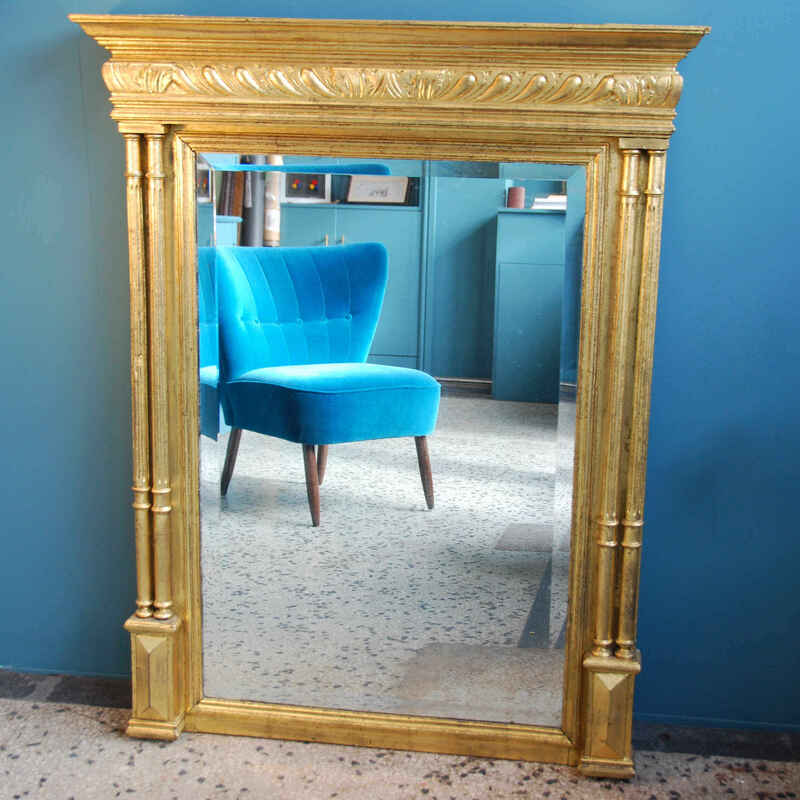 And if you have a beloved or valued antique period mirror, we can restore the frame and gilding whilst retaining the patina of age. 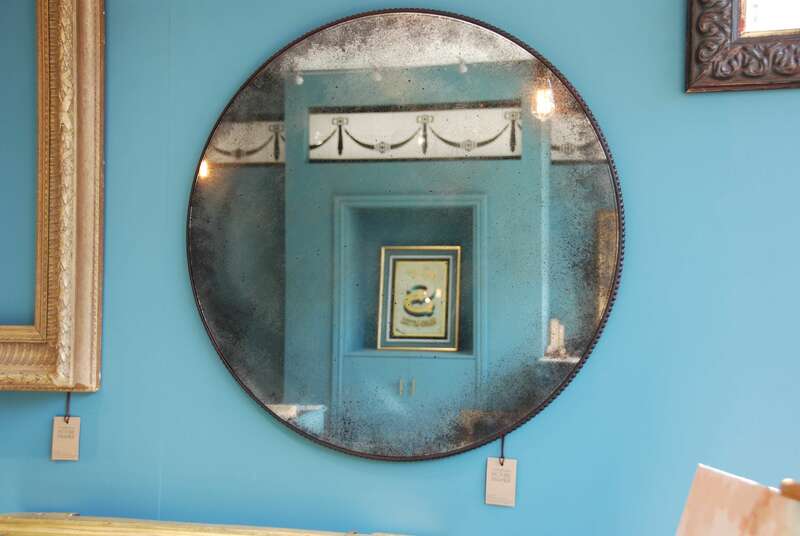 So, if you need a mirror come and see what we might be able to craft for you at our shop in Caversham, Reading. 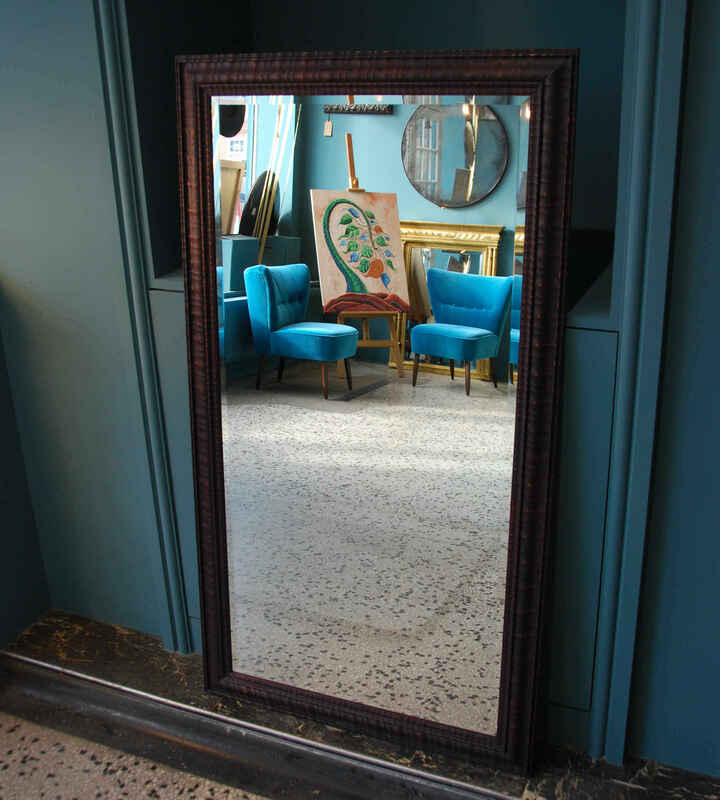 You can also arrange to have an appointment with Alex to discuss ideas and develop a unique mirror. 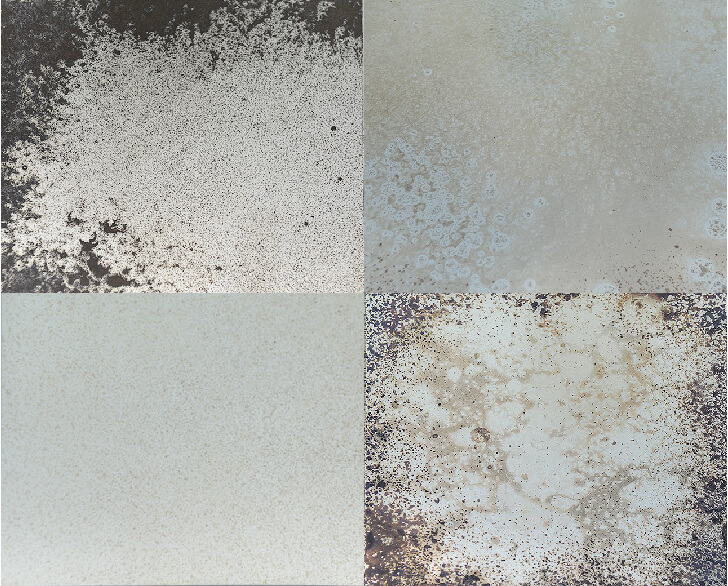 The image shows modern glass that has been antiqued with various acids to create different and varied effects. Please also come by our shop to see our samples. It is also important to note that these are handmade and subject to some variation throughout each piece of glass.